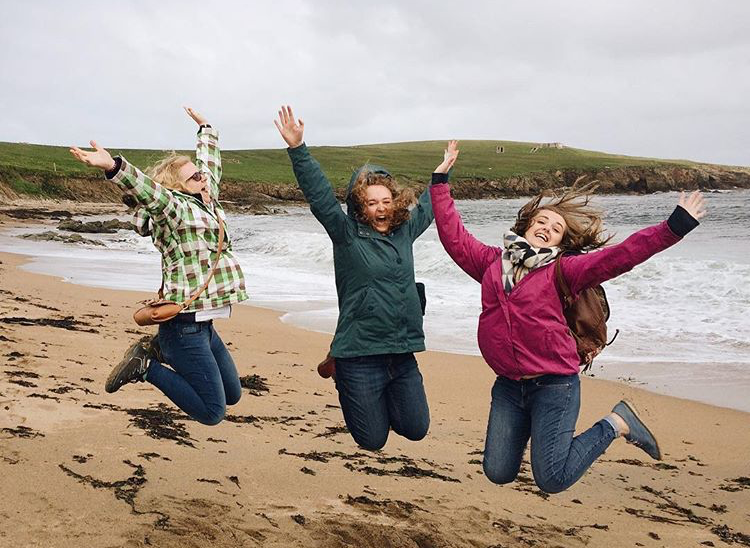 Unst boasts some of the most wonderful beaches, with golden sands and a cold sea making a trip along the beach one of the most refreshing and relaxing you’ll find. You’ll often find yourself with the whole beach to yourself, it’s absolute bliss. Stunning shorelines and unspoilt views make our beaches more than special. Skaw Beach: located at the northern tip of Unst. Head to Norwick, and turn left up Holsens Road. Follow this road up a steep hill, and drive along the side of the hill with spectacular views of Norwick before arriving at Skaw. Here you’ll also find the UK’s most northerly home. Norwick Beach: known for it’s ever changing burn, the natural course of the burn often changes direction and is something locals keep an eye on over the course of the year. A vast beach of golden sands, ‘the taing’ also makes Norwick Beach unique. People often climb to the top of the taing, but please be careful. Read the information panel before making your way down to the beach to learn of its geological wonders. You'll find these unique beaches off the beaten track, with some requiring a short walk to get to. Easting Beach: heading towards Muness, turn left onto another single track road and follow the road to Hannigarth house. There is a small carpark at the end of the road. Leave your car here, and walk down the hill to Easting Beach (Approx 10 minutes). The open space, rolling sea make this spot idyllic, with Viking Unst archaeological sites situated above the beach to explore. Lund Beach: to reach Lund Beach, travel towards The Westing before turning left again towards Lund and follow the road to the end. You may need to get out and open gates, please remember to close them! At the end of the road you will be greeted with an old kirk (church) and graveyard above the beach, before making your way down to the sanddunes and tranquility of Lund Beach. Burrafirth Beach: located at the North of the island, head towards Haroldswick and continue forward as you pass the Skidbladner and Viking Longhouse. Follow the windy single track road all the way into Burrafirth and you will come to Burrafirth Beach on your right hand side. The Loch of Cliff will sit on your left. There is no specific parking for this beach, so please ensure you leave your motor in a safe place off the main road. These are the five main beaches, however there are other small beaches dotted across the island. Maybe you could ask a local for directions to a hidden one..